Chris is ready to join his wife. He's planned this moment for nearly a year. The date. The time. The train. But he hadn't factored in Sarah. So when Sarah walks on to the platform and sees a man swaying at the edge she assumes he's just had too much to drink. What she doesn't expect is to stop a suicide. Darren O'Sullivan was born in Slough in 1982 but moved to Peterborough when he was 17 to train in performing arts. He has been working creatively ever since, first as an actor for the stage, then director. 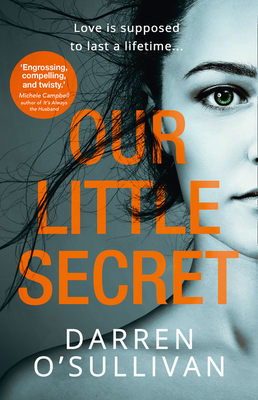 5 years ago he felt inspired to write theatre and from that came the idea to develop a novel.Following being accepted in the Faber and Faber novel writing programme in 2015 he fine tuned his hand and during that 6 month training programme 'Our Little Secret' was born.Darren signed for HQ with his psychological thriller 'Our Little Secret'.He is currently working on his second thriller.